3/18/14 Anderson opened by updating developments in flight 370. He is very thorough in his questioning, there are so many theories it can be mind boggling. This discussion took up most of program and likely will for awhile yet. He also touched on problems in Ukraine &inclosing gave a touching interview with the partner of one of the survivors. Inhis true fashion he showed concern for waiting loved.ones. 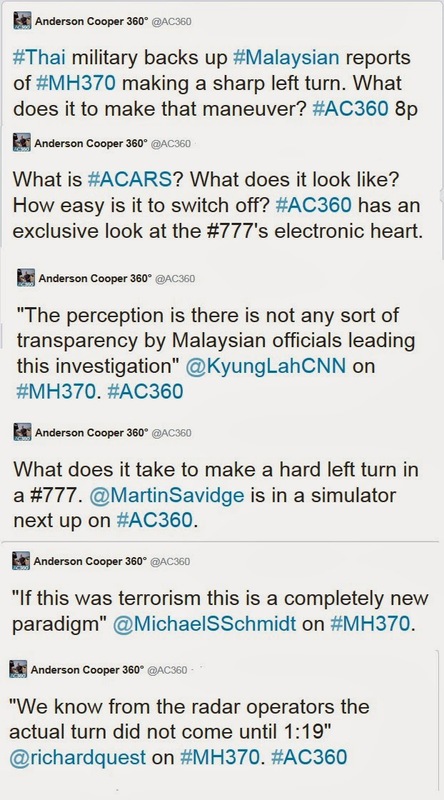 The woman AC interviewed who was the partner of one of the passengers was on Rachel Maddow's show the other night criticizing much of the Flight 370 coverage--I guess she wasn't including AC360 because his interview with her was one of the highlights of the program last night. 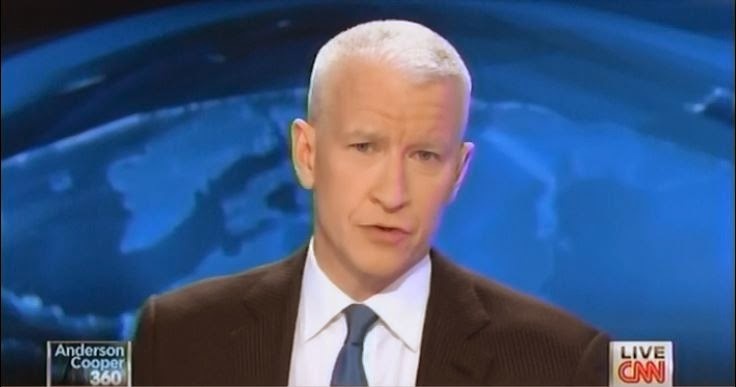 Another ATA commenter mentioned that AC360's set had changed--I also noticed that--it's a lighter/brighter blue now.